Frans Smit and his team are producing some excellent wines at Spier. 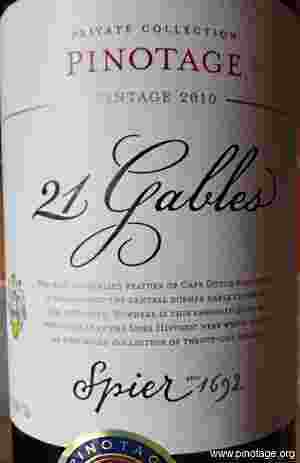 Premium range ’21 Gables’ is the bees’ knees where Pinotage is concerned. This beauty from the 2010 vintage is my Wine of The Month for October 2015. It is lusciously silky and mouth filling with a rich intensity of fruit and soft supple tannins. 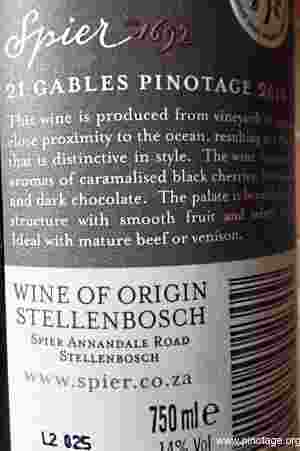 It was a Pinotage Top 10 winner in 2012. Hand sorted, aged 18 months and a barrel selection. Kanonkop Estate have released a free eBook about the estate and its vine growing and wine making. Especially interesting are the photographs showing Pinotage's growth cycle and maps and aerial photographs mapping the location of the Estate and location of where different varieties grow. "Today the Cape Blend is a dynamic and exciting wine category, yielding bold, vibrant wines, truly representative of South Africa," writes Wanda Augustyn at Moneyweb.co.za . In her article she interviews Beyers Truter, chairman of the SA Pinotage Association, organisers of the Perold Absa Cape Blend competition, De Wet Viljoen, winemaker at Neethlingshof and chairman of the Perold Absa Cape Blend competition, Johnnie Calitz, winemaker at Anura and Oliver Cattermole, executive chef, Leeu Collection. The oldest at the tasting was a 1967 Lanzerac Pinotage and the youngest 2013 Spionkoep. 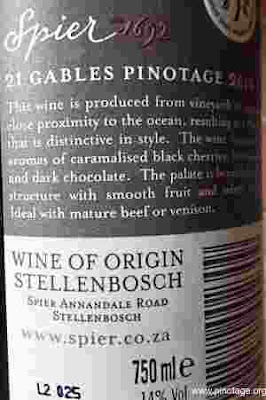 Read her full report and review of the wines for Zimbabwe’s ‘The Standard’ here. The International Wine and Spirit Competition 2015 Perold Trophy for best Pinotage has been awarded to Kanonkop Estate for their 2012 Pinotage. Kanonkop also had the 2010 and the 2012 'Black Label' wiining Gold Outstanding medals. The Perold Trophy is sponsored by the Pinotage Association. Congratulations to all at Kanonkop.